Manchester United forward Alexis Sanchez has revealed that he remains focused on qualifying for the next World Cup with Chile despite opting to stay in England and work on his fitness during the international break. Sanchez, 29, has won more caps and scored more goals than any other Chilean for the national team, but decided to opt against playing a part in his team’s international friendlies this week. The former Arsenal talisman decided to stay put at the Red Devils’ training complex to work on his sharpness ahead of the Premier League clash against Watford on Saturday. Sanchez was a central figure in the Chile squad that won consecutive Copa America trophies in 2015 and 2016 while also representing his country in two World Cups. However, one of the biggest lows of his career hit him hard when Chile failed to qualify for the World Cup held in Russia during the summer, but Sanchez has insisted that the team remains focused on securing qualification for the 2022 edition to be held in Qatar. “I think all the players are looking forward to the next World Cup. They also feel sorry because we did not qualify to the Russia World Cup, and they regret it”, Sanchez told United Review. “Many players felt bad and were very sad because the World Cup is a beautiful thing. “I played twice in a World Cup and three times with the Under-20 version, and the truth is that you live differently. “I hope to go to another World Cup and gain the respect that Chile had before”, he added. 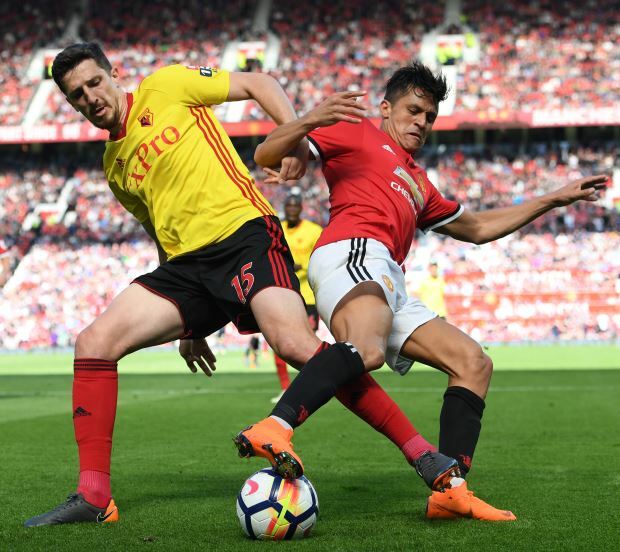 Sanchez is yet to open his account in the Premier League this season and will be aiming to find the back of the net and kick-on from there when Manchester United face high-flying Watford at Vicarage Road this weekend.